published in Poland since 2005, and the world since 1984. This is a practical travel magazine that inspires and informs new readers. Is aimed at people who are active, ambitious, curious of the world and its many attractions – both natural, architectural and cultural resources. It provides a ready-made recipes for a fascinating trips, also for the families. The strengths of „NG Traveler” are reliable information, maps, news, equipment tests carried out by experts, tips related to the wider theme of travel. An additional advantage are the authors of the magazine, renowned globetrotters. „NG Traveler” has patronized already many Polish expeditions, also acknowledges the prestigious „TRAVELLER” award to promote the Polish scientists and travelers.Chief Editor: Martyna Wojciechowska. „NG Traveler” supports the project as the media patron. Podróże.Gazeta.pl is the new version of Turystyka.Gazeta.pl service. The content of the service has been extended with new topics and photo galleries connected with traveling around the world. The website offers advice on safe and attractive travelling (including travel plans and recommendations of trips). Internet users who know already their holiday destination, have the opportunity to plan the journey, including hotel bookings, flight and tours. Gazeta.podróże.pl supports the project as the media patron. „Wielki Błękit” (“The Big Blue”) is a magazine for all diving and travelling enthusiasts. On the pages of Wielki Błękit you will always find the most beautiful pictures of the underwater world, taken by the best photographers, great articles for beginning, advanced and technical divers, news from the diving world, information about medicine, equipment, tips. Highest quality printing and paper. Magazine also appears in the electronic version. Wielki Błękit supports the project as an organizer of the expedition, and provides media coverage of the project. from all fields of medicine that doctors deal with on daily basis, helping in relations with the patients. And besides the section „Joy of Life” which is the doctors’ „after hours” where you can read about travelling to places, travelling to another man, his passions and dreams.Chief Editor: Lek. med. Andrzej Jablonski, MD, MBA. „Medycyna i Życie” supports the project as the media patron. „Medycyna Faktów” („Medical Facts”) is a quarterly magazine devoted entirely to problems of medicine based on scientific evidence (EBM, Evidence Based Medicine). The collumn „critical clinical trials,” contains descriptions of recently completed major international clinical trials. Polish cardiologists comment on them being leaders in the particular field of knowledge. In addition to descriptions of research and clinical comments the reader is able to approximate the principles on which the Evidence Based Medicine (collumn „ABC EBM”). Complement the magazine are the articles on diabetology and nephrology. Chief Editor: Dr hab. n. med. Marek Kuch. „Medycyna Faktów” supports the project as the media patron. Centralny Ośrodek Medycyny Sportowej (Central Institute for Sport Medicine) – multidisciplinary organisation dedicated to provide the medical support to Polish national team players.The largest and most recognized sports medicine center in Poland. Identified as a high performance sports trauma unit. Top specialists provide modern methods of treatment and diagnosis, for all those active in sports, or just living actively. COMS supports and promotes an active lifestyle. Among the center’s experts are not only doctors and physiotherapists, but also dieticians, psychologists and physiologists. COMS supports the expedition members providing them with medical diagnosis beforeand after the expedition. Bielanski Hospital in Warsaw has the mission to provide health services at the highest possible level of quality in terms of available financial resources, in accordance with good medical care, staff experience, the best traditions, the scientific achievements and new medical technologies. All this in a friendly and safe conditions of residence and work. 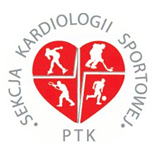 Polish Cardiac Society – Section of Sports Cardiology is a scientific society, created in 1954.Its objectives are: to initiate the scientific research in the field of cardiology, prevent and fight against cardiovascular diseases, promote of the progress of cardiology and cardiac surgery in the community, participate in the training of doctors and other health care workers in the field of cardiology. simple, secure, modular standards-based training, popularizing the sport to a wide range of people. PADI has more than 130 000 members, and covers more than 4 300 diveing centers in over 175 countries and territories. PADI teaching materials are translated into over 20 languages. Over 70% of world’s granted diving certificates are PADI certificates. EMENEM Studio – professional design studio. Specializing in the preparation for printing of books, catalogs, magazines, advertising materials and electronic publications. Perfect alternative for small and medium sized advertising agencies. EMENEM Studio supports the project from the graphic side.